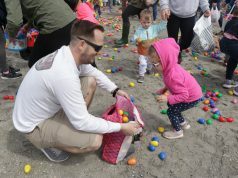 Mother’s Day was a banner day for the Ocean City High School Crew team. 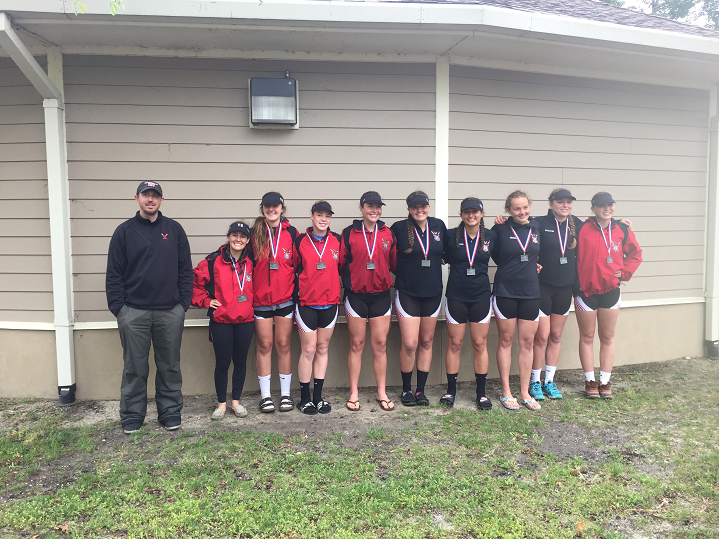 On Sunday, the Red Raiders turned in a dominating performance at the Atlantic County Championships on Lake Lenape in Mays Landing. 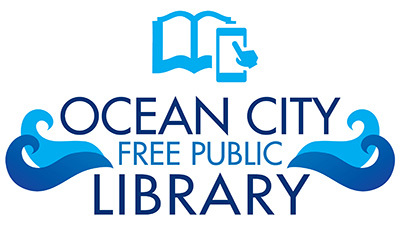 The OC girls took the points championship and with it the Freeholders’ Cup, racking up the points and besting second-place Holy Spirit and third place finishers Egg Harbor Twp. 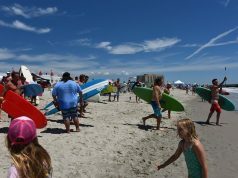 Proving their outstanding performance last week in the Philadelphia Championships was no fluke, Ocean City sent 11 boats to the Atlantic County Championships and nine of them medaled. Ocean City’s girls and boys combined to finish second to Holy Spirit in the overall points total. Mainland Regional was third overall. 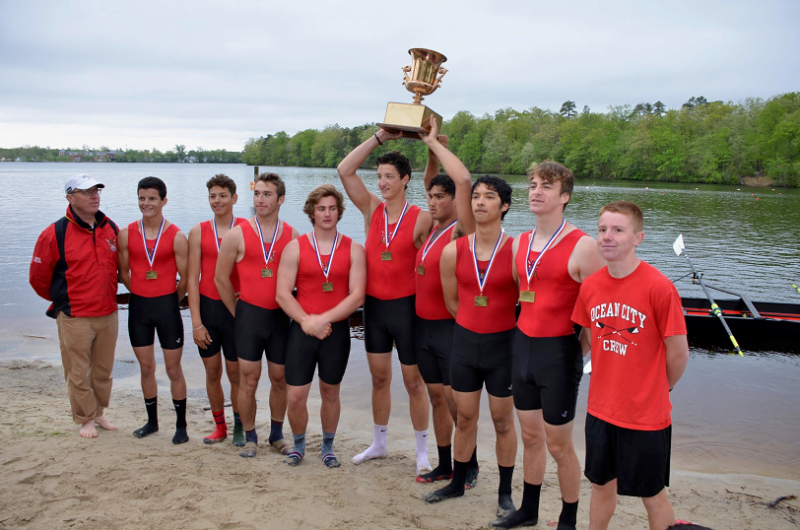 Five Ocean City crews took gold medals including the boys varsity and with it the prestigious Welsh Cup. The Raiders were in second place behind Mainland for the early part of the race, but caught the Mustangs near the midpoint and outsprinted them to take home the Cup. Stroke A.J. Oves, Blase Japzon, Greg O’Connel, Luke Hornick, Jack Branin, Seth Pierson, Noah Centrone, bow Jake Ruskey and coxswain Matt Catanoso won in 4:44.20, more than two seconds ahead of Mainland, with St. Augustine finishing third. The other gold strikes came from the girls second varsity eight, girls freshman eight, girls lightweight eight and boys novice eight. 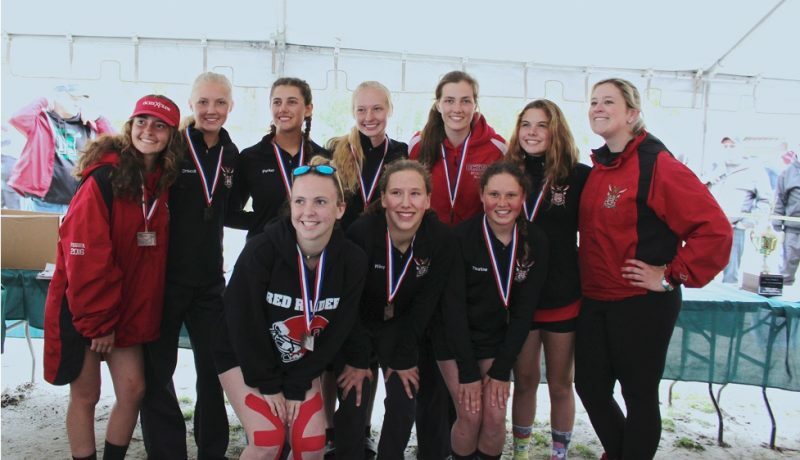 Even though the girls varsity eight placed second behind Holy Spirit, the Raiders’ balanced team performance, coached by Ian Tapp, allowed them to win the team title. 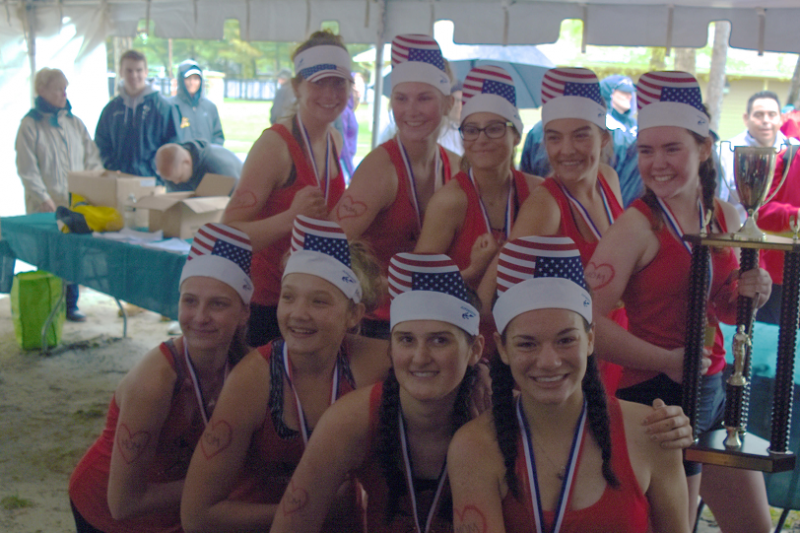 Members of the gold medal-winning second varsity eight are Alexa Japzon, Juliana Giardina, Maggie Clunn, Margaret Kane, Grace Broschard, Emily Culmone, Samantha Perro, Kira Tracy, coxswain Lucy Greene. 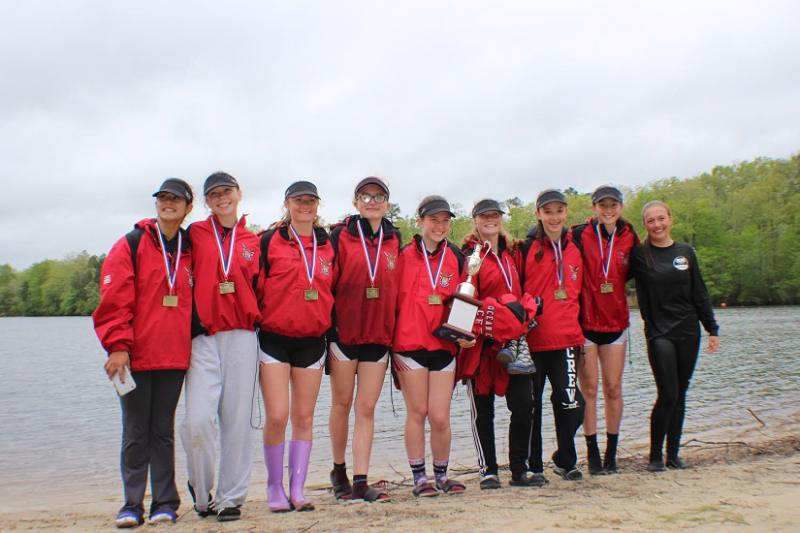 Girls freshman eight gold medalists are Carlee Rumaker, Jenevieva Mulhall, Michaela Carroll, Vanessa Karayiannis, Julia McKeon, McKenna Howells, Sofia Keir, Haley Strickland, coxswain Francesca Mastrando. 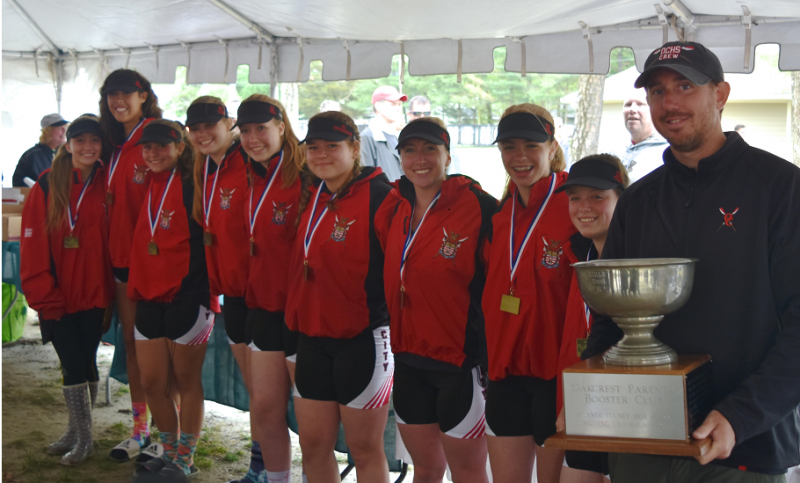 Girls lightweight eight gold medal winners include Elaina Guido, Ryleigh Mack, Alexia Schmidt, Carly Dougherty, Rebecca Dubbs, Marian Wisham, Katherine Coffey, Aura Lopez, coxswain Maura Siciensky. 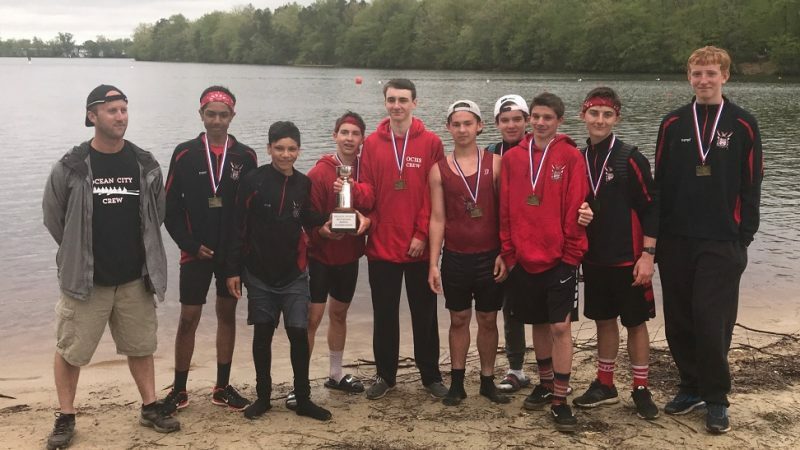 On the boys side, the novice eight consisting of Mike Dickinson, Matt Oves, Gavin Bower, Flynn DeVlieger, Dylan Kampf, Bryce Jefferson, Chris Horan, Dhruv Patel, and coxswain Justin Forman rounded out the Raiders’ gold medalists. 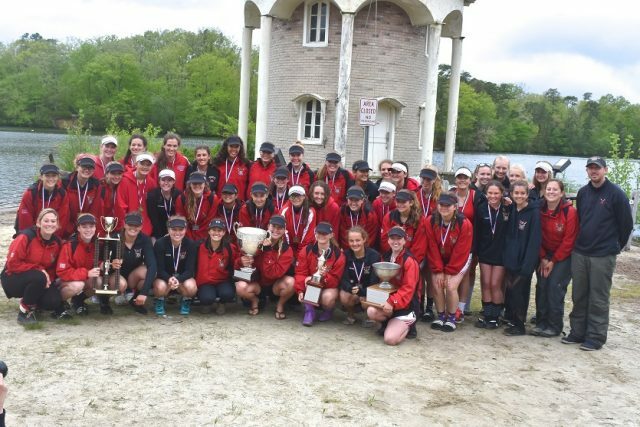 The silver-winning girls varsity eight included Avery Panico, Olivia Simone, Sophia Cooper, Meghan Finley, Eve Chiarello, Noelle Michel, Kellie Edwards, Claudia Scherbin and coxswain Maren Stickley. Also winning silver were the boys varsity second eight. 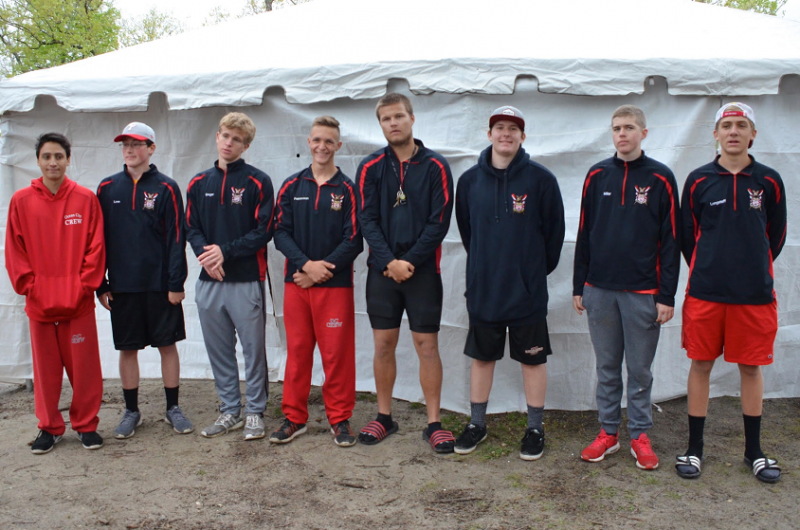 They are Eric Love, Zachary Greger, James Papperman, Alex Yoa, Max Carter, Daniel Millar, Garett Longstaff and coxswain Mitchell Bartello. 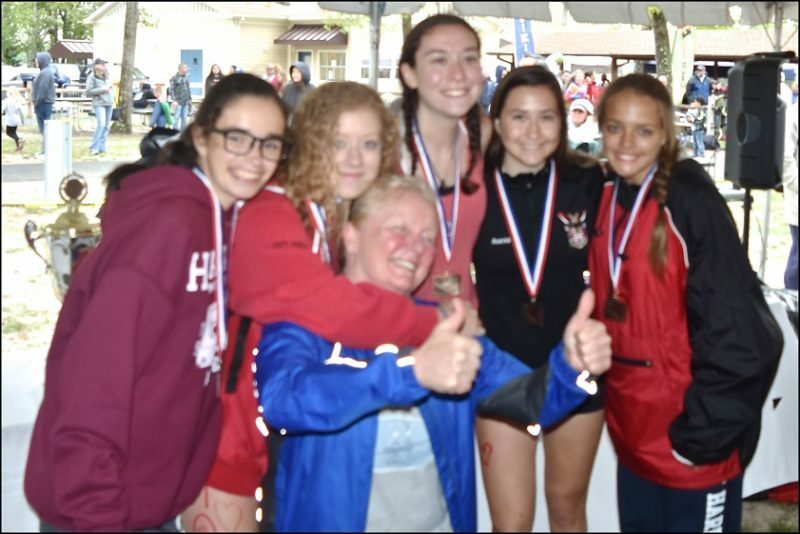 The bronze medalists for Ocean City: girls novice eight including Zofia Driscoll, Carlee Parker, Erin Smith, Hannah Martin, Lily Dina, Kate Wixson, Grace Wiley Mackenzie Thurlow and coxswain Riley Fisher; and girls JV four including Alanna O’Keefe, Teagan DiMeglio, Autumn Bruce, Madison Avena, and Mia Vazquez. This coming Friday and Saturday, the team will head to Cooper River in Pennsauken, NJ for the 2018 Stotesbury Cup Regatta Presented by Toyota. The legendary regatta is known as the Worlds Largest High School Regatta. 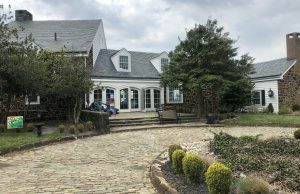 This year it was originally scheduled to be held in Philadelphia on the Schuylkill River, but was relocated due to potentially bad weather conditions there. Rain or shine the year’s competition should be exciting. Cooper River is known for being one of the finest naturally straight race courses in the country. 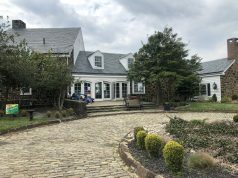 There are plenty of good spots along the course to easily view the race and have a good time. The vendors will be out in full force selling gear and all kinds of food. 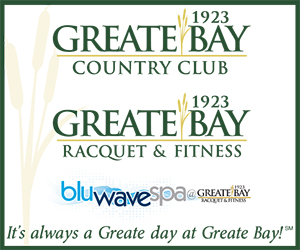 If you are looking for a fun weekend activity, come out and cheer the team on. You may want to wear boots because it might be muddy.